Take a look at some of the fantastic work we've done recently. Commercial job for a Quantum Care Home. We fitted beautiful venetian blinds and fabric pelmets for the bay window in their social room. Stunning motorised vision blinds fitted in a kitchen in Harpenden. Visions allow the light in but also gives privacy control. Striking commercial roller blinds fitted in an office in North London. There is an option to have your company branding on blinds if required. Framing this bay window perfectly, these water resistant, faux wood venetian blinds fit perfectly in the customers kitchen. A contemporary finish for a living room for a our customer. 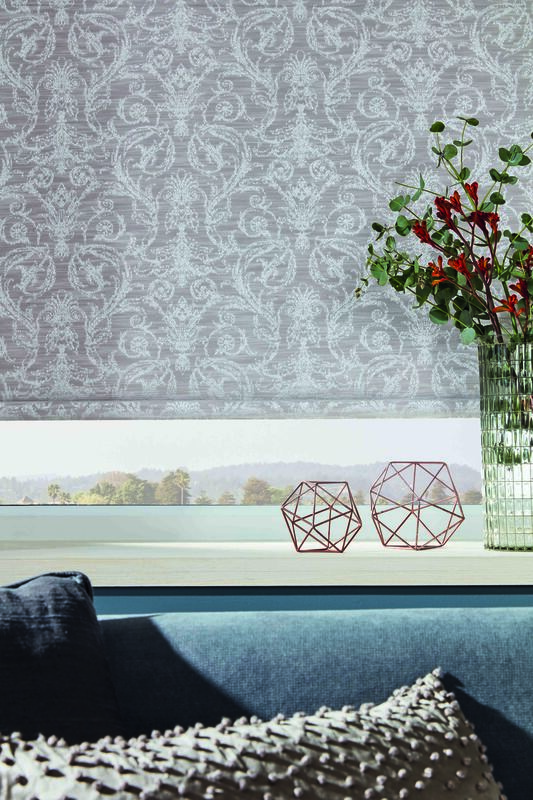 These roman blinds offer a feeling of warmth to any space and beautifully dress the window. Perfect for bigger windows or doors, these motorised roller blinds allow access through the garden door. Can be fully hidden in the matching cassette. Contemporary full height, real wood shutters look fantastic in this large bay window. Control the louvres by tilting the rods on the front and let the light in. These are 2 solar charged roller blinds that we fitted in a stairwell of character home in Hertford. The daylight charges up the motor and powers the blinds. A traditional fabric for a character home, modernised by the contemporary roman blind. Perfectly frames these bay windows. 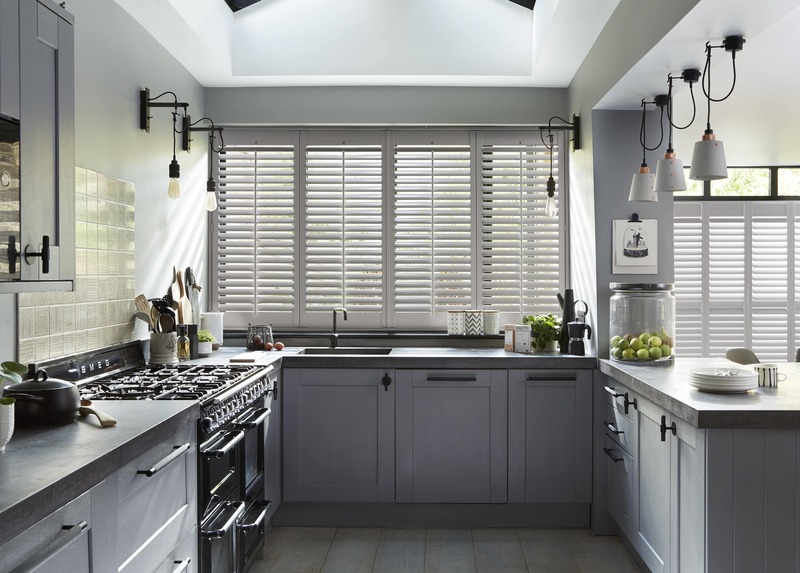 A translucent, pleated blind looks great in this kitchen and the colour compliments the room. 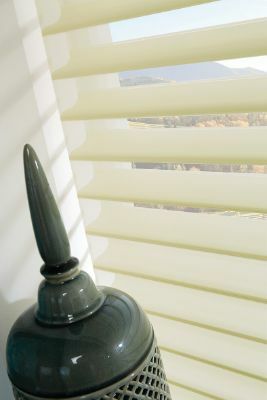 Easy to control, these blinds can be pulled down via a bottom handle. Venetian blinds can be ordered in a variety of colours and this grey shade creates a real statement in the customer home. Roller blinds we recently fitted for a bay window in a character home. Side chain control. Elegant new Allusion blinds and curtains fitted recently in a customer bedroom. 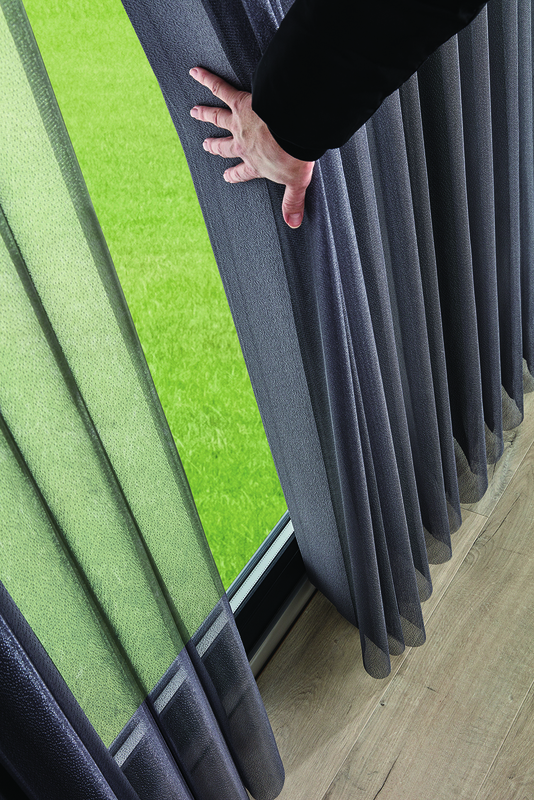 Allusion blinds offers light and privacy during the day and the curtains offer the blackout during the night. Electric, retractable, full cassette awning with black powder coated hardware fitted in Welwyn Garden City. Controlled via a remote or an internal wall mounted switch. Complimenting a beautiful bathroom, this vision blind lightens up the room, yet maintains privacy. We recently fitted these Easicare bathroom roller blinds which are water resistant and wipe clean. The customer chose to compliment the colour of tiles with the fabric choice. 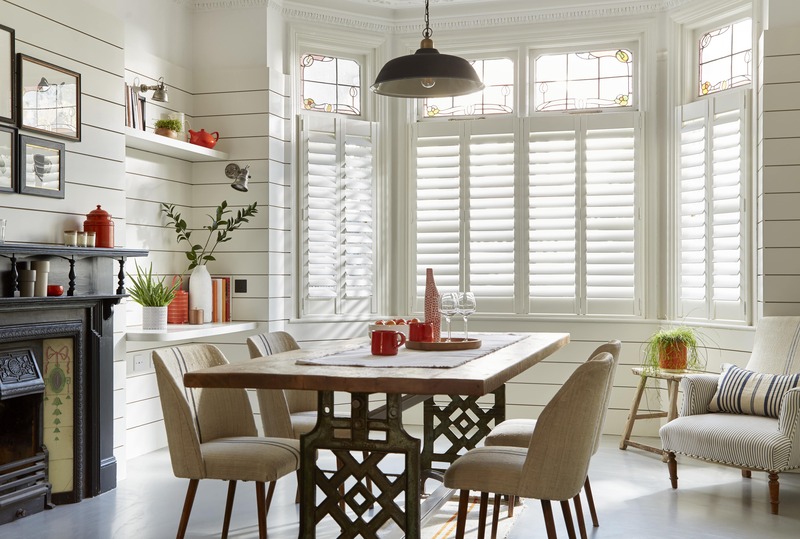 White full height MDF shutters which are split louvred meaning the top half work independently to the bottom half, giving you more control of your light and privacy. 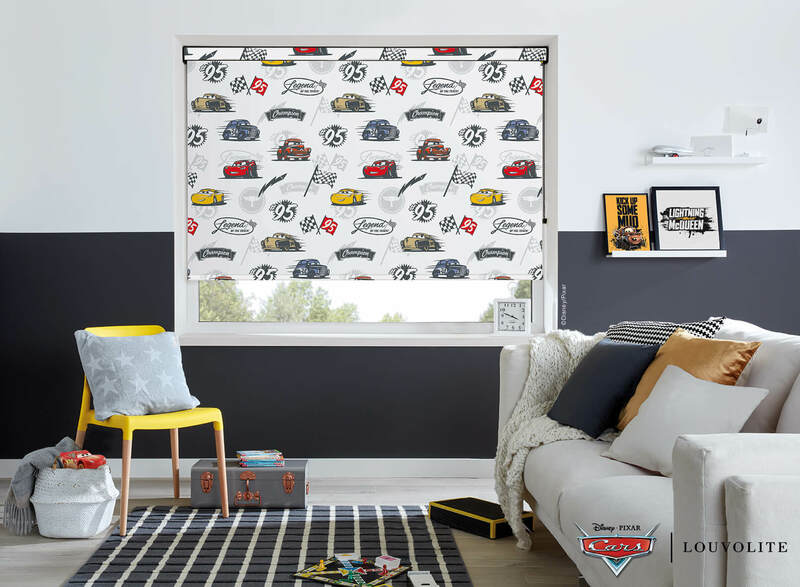 Double cassette roller blinds featuring a voile and blackout fabric. Offers the customer a bright room during the day and a cosy room at night. This large bay window has been stunningly dressed with faux wood shutters, offering a hidden tilt option for a more contemporary look. Perfect fit conservatory blinds offer a neat finish with no drilling into the window frames. Reduces glare in a normally bright room. 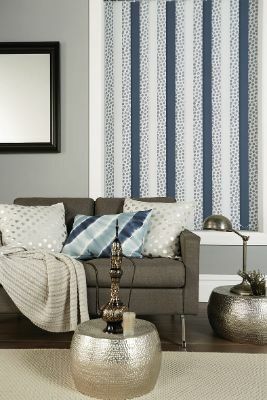 Vertical blinds are a traditional way to dress a window. However, these are a great example of how a contemporary fabric can be used to modernise. With a textured finish and an ‘on-trend’ grey tone, these Vertical blinds we fitted recently look fantastic. Used over patio doors, they allow a soft level of light when closed, and can be controlled by the chain to open the louvres, flooding the room with light. Don’t forget we offer a free at-home design consultation and measure so if you are in need of some inspiration; we are here to help! 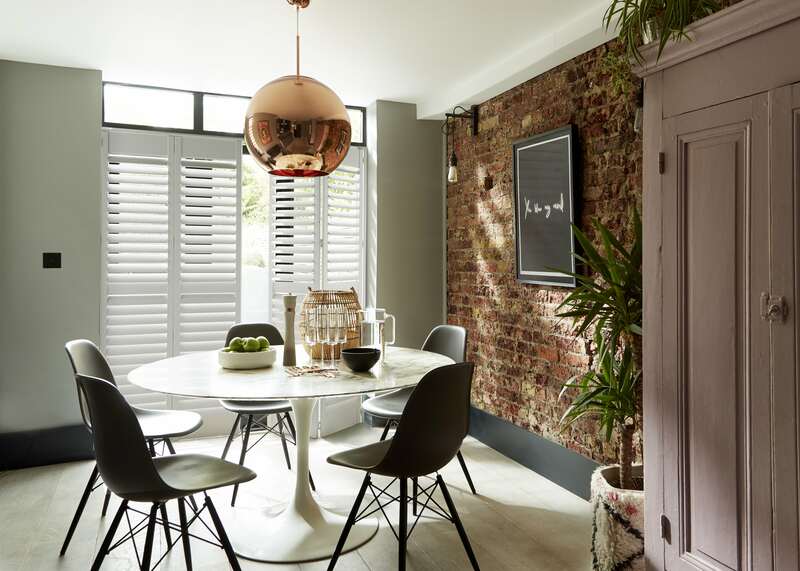 Continue reading "Contemporary Vertical Blinds"
Continue reading "The Colour of the Decade"
Beautiful venetian blinds frame this bay window perfectly without spoiling the view of the chocolate box village. Coordinating the shade of your blinds is easy; we can colour match with a large variety of shades and stains. 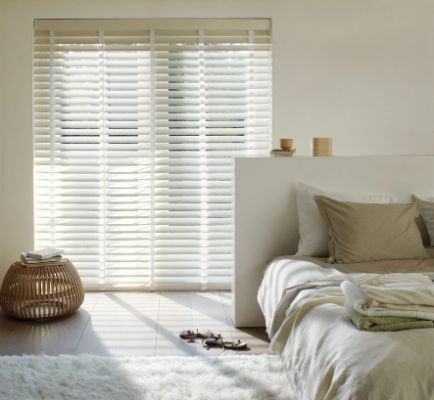 Controlled via a simple cords, each blind can be individually retracted and the louvres opened and shut. 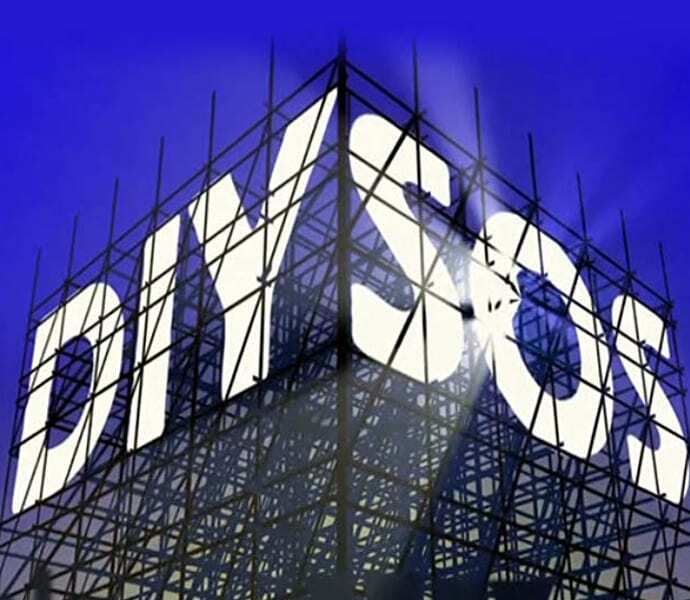 We not only do domestic work but also are very busy with our commercial clients. For a property with so much glass, roller blinds are the best choice. Not only do they create shade to control temperature, they are also provide increased security. In a contemporary building such as this, we have fitted within the recess of the windows, to create a neat, uniform finish. Continue reading "Commercial Office Job"
If you are looking for a sleek finish, choose our white wooden shutters. You can see from these fitted recently, that you can still achieve a lovely, bright room whilst maintaining privacy. Tier on tier, allows you to control the lower and high levels independently. The Vertical blind is the most practical for a commercial property. We can fit any sized window and can even alternate the slats to create a more contemporary finish. The office we fitted these Vertical blinds in, asked us for muted tones for a calm environment, and that's exactly what we delivered! The Vertical blind is the most practical for a commercial property. We can fit any sized window and can even alternate the slats to create a more contemporary finish. The office we fitted these Vertical blinds in, asked us for muted tones for a calm environment, and that’s exactly what we delivered! 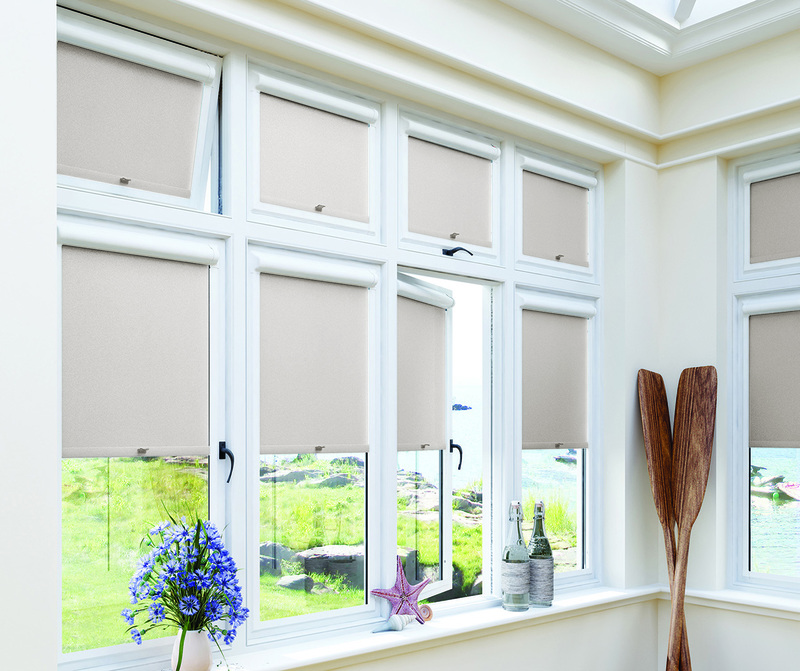 The Roman blind is the softest finish for any room. This beautiful blind fitted in a local home recently is a perfect example. Perfect fit blinds are the most popular blinds used in conservatories and as the name suggests, fit perfectly into the window frame with no drilling! 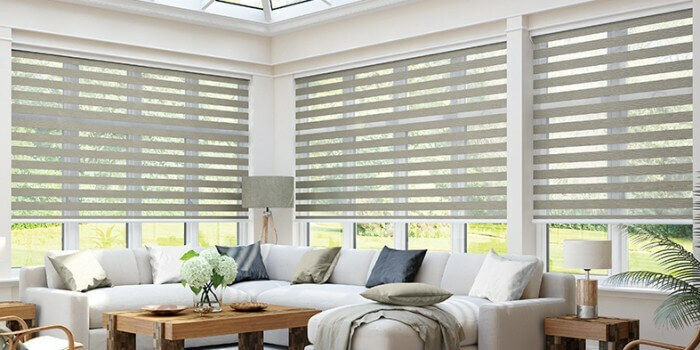 Great for temperature and light control, we are also to supply blinds for roof windows too! 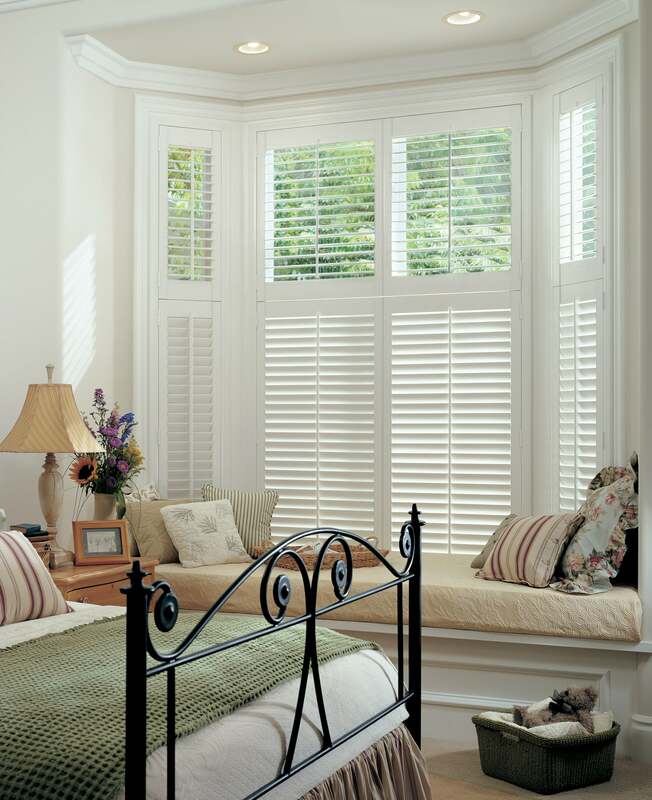 Shutters are great for both windows and doors. Full-height shutters can be fitted on a track similar to bi-folding doors so they can be slid to the side or the panels can open individually. These we fitted for a customer recently and were used on an external door to increase warmth in the room. Continue reading "Contemporary Vision Blinds"
Vertical Kitchen Blinds are great for controlling light and privacy. In this case, the perfect spot to look out the window whilst washing up! 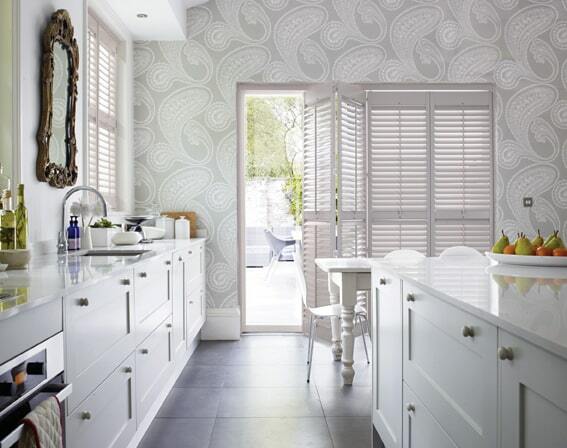 This kitchen in Harpenden looks stunning! A stunning Roman Blind we fitted recently in Radlett is a real wow factor in the room. 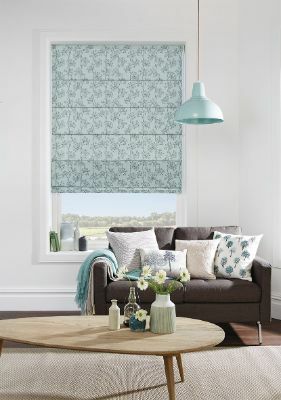 Blinds are a fantastic way of being bold with colour and pattern, all without picking up a paintbrush! Coordinate with other soft furnishings in the room such as throws and cushions for that finishing touch. These striking vision blinds we fitted for a kitchen in Welwyn perfectly compliment the shade of the kitchen and fittings. 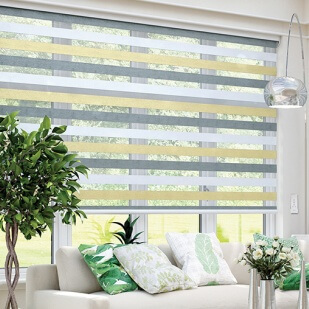 Beautifully bold, these blinds truly made a statement! For ease of access to the patio doors, the blinds were individually motorised. The two panes of the vision blind, pass by each other, creating a variety of translucent and opaque light options. Continue reading "‘Day to Night’ Blinds"